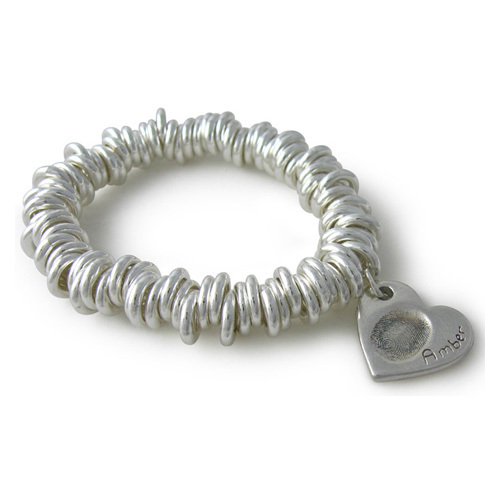 This gorgeous sweetie-style links bracelet comes in four different sizes with one chunky fingerprint charm. This gorgeous sweetie-style link bracelet is made from lots of sterling silver chunky links (which are 9mm in diameter) on a stretchy bracelet and comes four different sizes. It comes with a chunky bracelet charm in a choice of six different shapes. 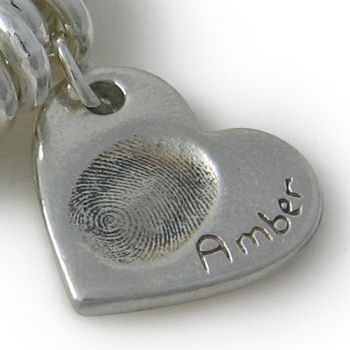 The charm can hold a print and a name and weighs a maximum of 4g of silver. 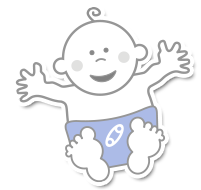 You can add more chunky charms for further children. Check your size Measure, in inches, around your wrist, where you want the bracelet to sit, then add three- quarters of an inch. Chosse the next available size up out of 6.5", 7", 7.5" and 8". Other sizes can be made up on request for a small charge.